Did you know coffee is the #2 best-selling online retail category? 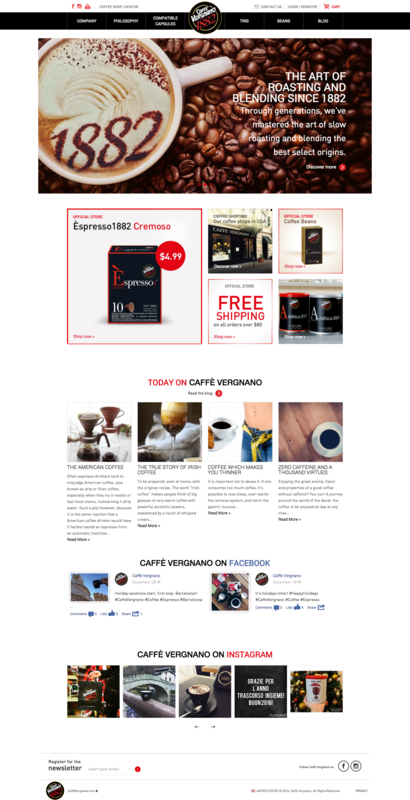 We are proud to announce our latest Ecommerce launch: www.CaffeVergnano.us, our most notable retail Ecommerce launch to date, as Italy’s premium coffee brand is now available to U.S. consumers with the help of Solar Jet Pro. Our team has worked directly with Caffe Vergnano’s marketing and sales teams in Turin, Italy to ensure their American product launch maintains the integrity of the brand, while also adjusting the messaging for the unique U.S. market. In addition to web development and Ecommerce, we are also engaged with the Search Engine Optimization strategy, social media integration and strategy, and ongoing product promotion and web maintenance.